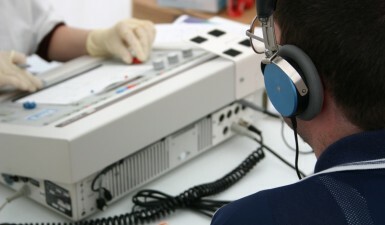 We understand it can be extremely difficult and challenging to deal with a case of infant and child hearing loss. However, modern advancements have made it much more easier to deal with infant and child hearing loss, so there are available options for both diagnostic and treatment purposes that can help to provide a better quality of life for your infant or child. Check out the individual sections below to learn more about hearing aids as well as hearing tests & hearing screening. If the ENT physician has diagnosed that your infant or child has a hearing problem, it is highly possible that you have to consider hearing aids which can help your child hear better as they grow up. Do you know that there are different categories of hearing aids as well as different hearing aid styles? They also come with varied capabilities in facilitating your child or infant to overcome the hearing problem. This section will enlighten you on these elements so that you can stay well-informed. Before we ascertain that an infant or child has a hearing problem, it is extremely important for us to conduct hearing tests and hearing screening. Every hearing test is not created equal; and that’s why we will conduct different types of hearing tests for children from different age groups. This is to ensure that we achieve the most accurate hearing diagnosis for your child, and can prescribe the most suitable treatment thereafter. At ENT for Children, we are fully dedicated to helping you and your children cope with hearing problems. Feel free to talk to our care team or request an appointment with Dr. Samadi to find out more about what we can do for you when it comes to infant and child hearing loss.